Help them be all that they can be! 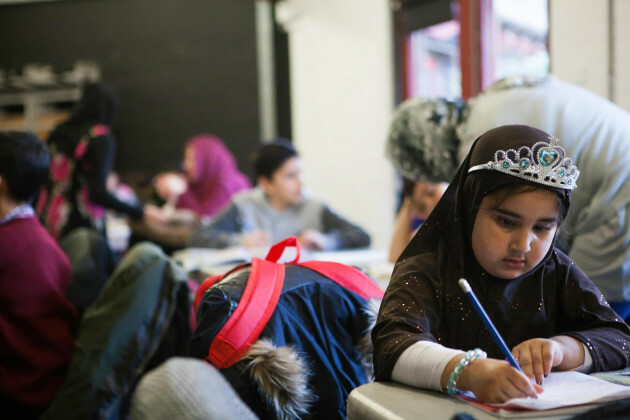 Newly arrived disadvantaged children and young people from Refugee and Asylum Seeker backgrounds, living in Southeast London are helped to cope and thrive in their efforts to adapt to mainstream UK education through our Ferdowsi Saturday supplementary school. Recently arrived parents from conflict zones such as Afghanistan in England often struggle to support their children with their education due to their own limited education and poor command of English. This negatively affects their children who often have limited support completing homework and can quickly fall behind their indigenous peers in state schools. Through our school, we work to help these children adapt to UK education by helping to extend their levels of literacy and numeracy, improve their communication skills, raise their aspirations, minimise their sense of isolation and attendant distress and enable them and their families to become more independent, confident and aware of further educational and training opportunities in the UK. Refugee and asylum seeking children and young people between 5-18 years old are supported at National Curriculum stages 1, 2, 3 and 4 in English, Maths and science in line with the national curriculum. Our teachers are able to empathise with the difficulties faced by refugee families learning English as a second language, settling into a new school and country, facing difficulties with their immigration status and what this can mean for their family’s ability to meet basic needs such as housing, food, and employment.